Arag Tower is a 31-storey, 124.9 m (410 ft) office skyscraper, in the northern district of Mörsenbroich, Düsseldorf, Germany. 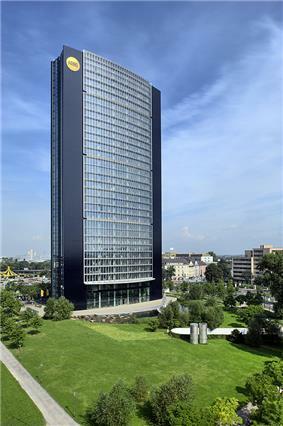 The tower is the tallest building in Düsseldorf, and it serves as headquarters for the European insurance company, the ARAG Group. The architect firms of Foster and Partners and Rhode Kellermann Wawrowsky collaborated on the project, and Hochtief AG project management. Construction took place between 1998 and 2001 with the final cost of the building being €46 million.